Apply for a free School Collection Account at the NAFC Library! Please stop by the library to fill out an application for a free School Collection Account, available to teachers and daycare workers who work in Floyd County. Your School Collection Card will be kept at the library and used to check out books for classroom use. School Collection Cards do not accrue overdue fees, although we do ask that you pay for any books that are truly lost. 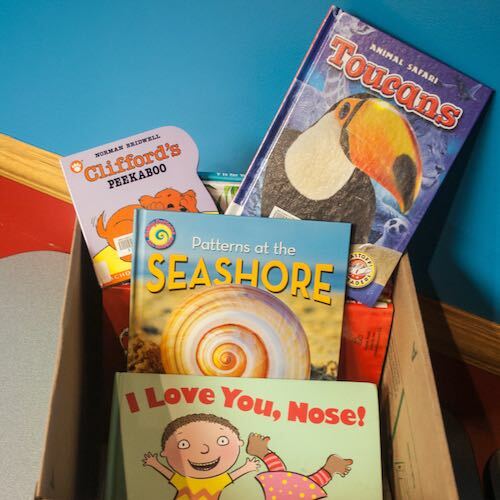 To request a collection of books on a certain topic/theme and/or reading level, please email the Children’s Room at childrens@nafclibrary.org or give us a call at (812) 949-3528. Librarians will put together a collection that can be sent to your school (in some cases) or picked up at the library. Feel free to request specific titles. Prefer to pick out your own books? That’s fine! The librarians at the Children’s Desk will be happy to check them out on your School Collection Card. We can check out up to 30 books per collection, based on availability. School Collections typically check out for 4 weeks, but you may be able to keep them longer if you need to (depending on demand for the topic). 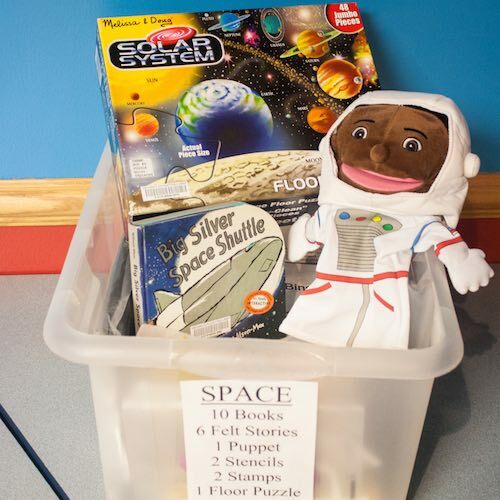 Ready to request a school collection?